I want to expand on something I mentioned this afternoon over on my 180 blog — the What If Momentum? game I kind of accidentally created. Start with the Collision Lab PhET simulation. Get the kids to collect data about momentum in different scenarios. I used Wendy Adams’ contributed lesson to guide them. Watch carefully what the kids are doing then snap a few screenshots of scenarios you know they haven’t tested. Let them work through all the scenarios before moving on — I asked them to look at collisions between identical masses, different masses, and inelastic collisions. I told the kids I didn’t have a preference on how or where they collected data so they agreed on this Google Spreadsheet. I also refused to guide them on how to set it up (except in one case: they weren’t sure how to best organize the initial and final data, so I made two suggestions and they chose one). What is total momentum after the collision? 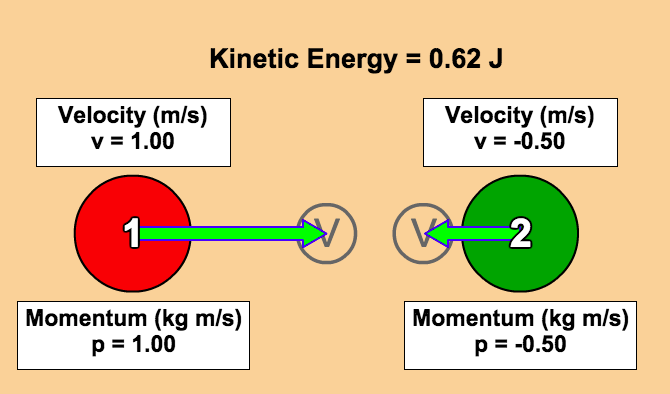 What is momentum of ball 1 after the collision? What is momentum of ball 2 after the collision? 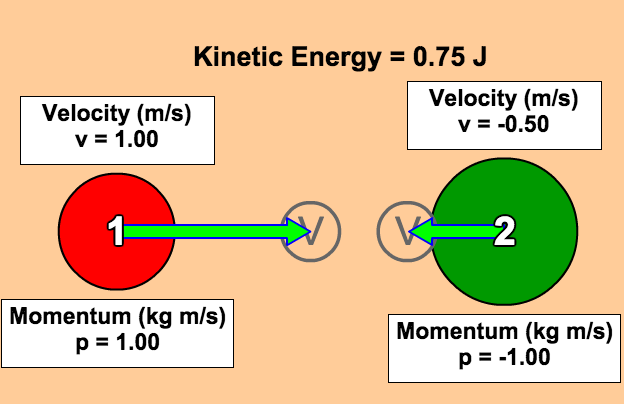 What is velocity of ball 1 after the collision? 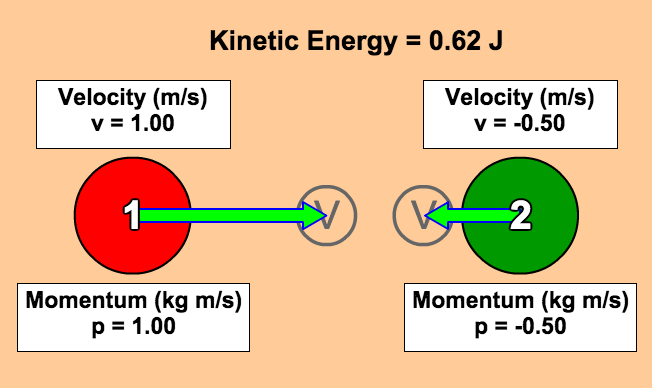 What is velocity of ball 2 after the collision? Mass 1 is the same as mass 2 and the elasticity is set to 0%. This one was easy for the class. My kids talked about how at the instant of collision, they knew the balls would bounce back off each other and that momentum would be conserved. They reasoned that since total momentum needed to stay the same, the #2 ball would depart the collision having “traded” momenta. I thoroughly enjoyed listening to my one little summer school lab group and hope this scales up well to a full size class. Mass 2 is twice mass 1 and elasticity is set to 100%. This one rattled them for a bit. They went down a few dead ends, which they always recovered from because they remembered momentum must be conserved. I was surprised that none of the kids calculated this as if it were a homework problem. Instead, they reasoned through it, eventually giving me answers they were confident in. Oh, by the way, after the kids gave me their final answer, I pulled up PhET and set up the scenario, got a drumroll, and hit Play. The anticipation in the room was palpable. Masses are the same and elasticity is set to 100%. After all the positive reinforcement from the first two scenarios, the kids tackled this one like pros. It took them awhile but the final answer was spot on. I loved the confidence they had based on their reasoning alone (did I mention no one pulled out pencil and paper to work this out as a problem? though they certainly could have). Total time to play What If Momentum? was about an hour. Definitely putting this one in my backpack for the future.